R.A. Salvatore's Cleric Quintet tells the story of the scholar-priest Cadderly, plucked from the halls of the Edificant Library to fulfill a heroic quest: to stop the chaos curse unleashed upon Faêrun. This one-volume collection includes all five of the original Cleric Quintet novels--Canticle, In Sylvan Shadows, Night Masks, The Fallen Fortress, and The Chaos Curse--complete and unabridged, with an introduction by the author. 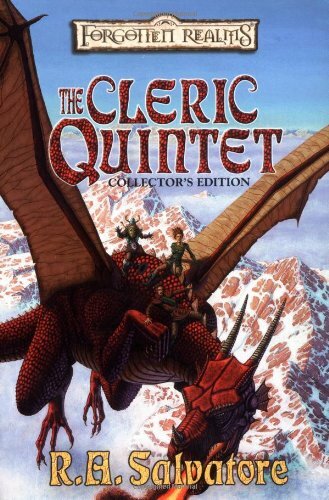 The Cleric Quintet is the prequel to R.A. Salvatore's best-selling novel, The Ghost King.